Next, you need to display the rewarded ad to the user when they tap a button. Let's say you linked a TappedReward() method to a button. // Add code here to display or enable your Rewarded Video button. This ensures that the button is only displayed after a rewarded video has been successfully loaded and is ready to play. For a full list of rewarded video delegate methods we support, see our Advanced page. Once the user has watched a video, the player should be rewarded. Use the RewardVideoValidated listener to obtain the reward. Note: TDVideoReward.eventId is a unique identifier for every reward given to a user. 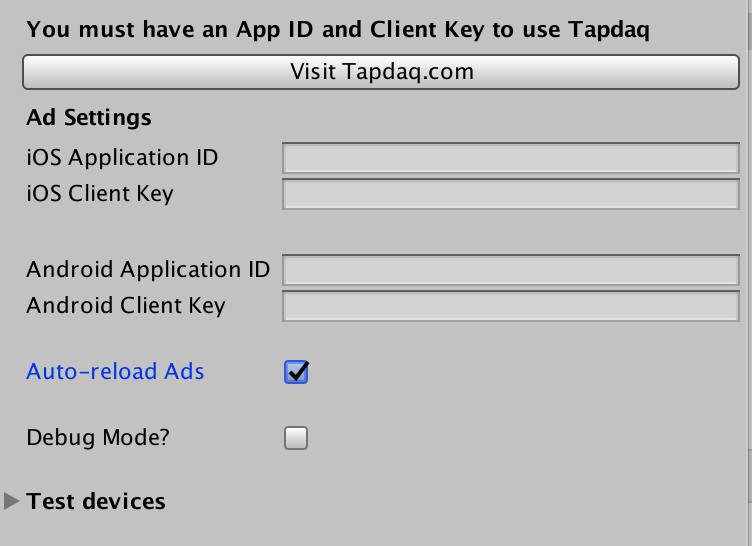 Tapdaq SDK triggers server-side callbacks when a reward is provided, along with the client side didVerify callback. Optionally you can add a Hashed User Id to the callback to identify the user to reward.